Now, as reported online May 3, 2017 in Neuron, a consortium of top researchers — led by scientists at UC San Francisco, Rutgers University, Massachusetts General Hospital, the University of Florida, and Yale School of Medicine — has made a significant advance, identifying the first “high-confidence” risk gene for Tourette disorder as well as three other probable risk genes. These findings are a step forward in understanding the biology of the disorder, the authors said, which will aid in the search for better treatments. “In the clinic, I have seen again and again the frustration that patients and families experience because of our lack of understanding and the limitations of our current treatments. But we have now taken a major initial step forward in changing this reality, thanks to new genomic technologies and a very successful long term collaboration between clinicians and geneticists,” said Matthew State, Oberndorf Family Distinguished Professor and chair of the Department of Psychiatry at UCSF and a co-senior author on the new paper. As in this earlier research, the scientists involved in the Neuron study compared the protein-coding regions of the genomes of children with Tourette disorder to the genomes of their parents to identify so-called de novo variants — rare genetic mutations that are not inherited from parents, but rather occur spontaneously at conception. 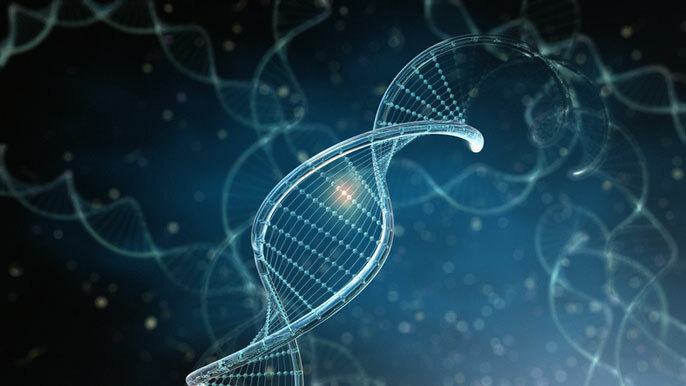 De novo variants often have stronger biological effects than inherited variants passed from generation to generation, said Jeremy Willsey, an assistant professor of psychiatry at UCSF and co-lead author of the new paper. The team analyzed genomic data from 311 “trios” — children with Tourette disorder and their parents, most of whom were unaffected by the disorder — collected by the Tourette International Collaborative Genetics group (TIC Genetics), and found strong evidence that de novo variants can play a significant role in triggering the disorder. To be certain of what they were seeing, the team conducted a replication study in 173 trios from the Tourette Association of America International Consortium for Genetics (TAAICG), and found the same results. In order to gain sufficient statistical power to identify specific genes in which de novo variants disrupt function and contribute to risk of Tourette disorder, the researchers combined the genetic data from the TIC Genetics and TAAICG cohorts — a complex effort led by State, Willsey, and their team at UCSF. The resulting dataset allowed the researchers to zero in on four genes expressed in the brain in which de novo variants were significantly associated with the disorder. This analysis identified variants of the gene WWC1, also called KIBRA (for “KIdney- and BRAin-expressed protein) — which is involved in brain development, memory, and the brain’s response to the hormone estrogen — as having a greater than 90 percent probability of contributing to Tourette disorder. Three other genes were flagged as having at least 70 percent probability of contributing to the disorder. Of these, two — FN1 and CELSR3 — are also known to be involved in the development of brain circuitry. The third probable risk gene, called NIPBL or Delangin, is involved in regulation of gene expression in the brain, and has previously been associated with the developmental disorder Cornelia de Lange syndrome, as well as anxiety, obsessive-compulsive disorder, and attention-deficit/hyperactivity disorder in humans. The new study represents a collaborative effort across the two international Tourette disorder genetics consortia: TIC Genetics, founded by State and Jay Tischfield of Rutgers, and now led by State, Tischfield and Gary Heiman, also at Rutgers; and the TAAICG, led by Jeremiah Scharf of Massachusetts General Hospital and Carol Mathews of the University of Florida. Tischfield, Heiman, Scharf, and Mathews are all co-senior authors of the new paper. Thomas V. Fernandez of the Yale School of Medicine’s Child Study Center and Department of Psychiatry was co-lead author, with Willsey, of the new study.